Packaging was veritably impressive! They're sealed so meticulously that I almost broke a nail trying to open them. I ended up using a cutter to free these babies so I suggest you do the same. My first impression was how the heck did Ever Bilena come up with low-cost beautifully crafted tools. 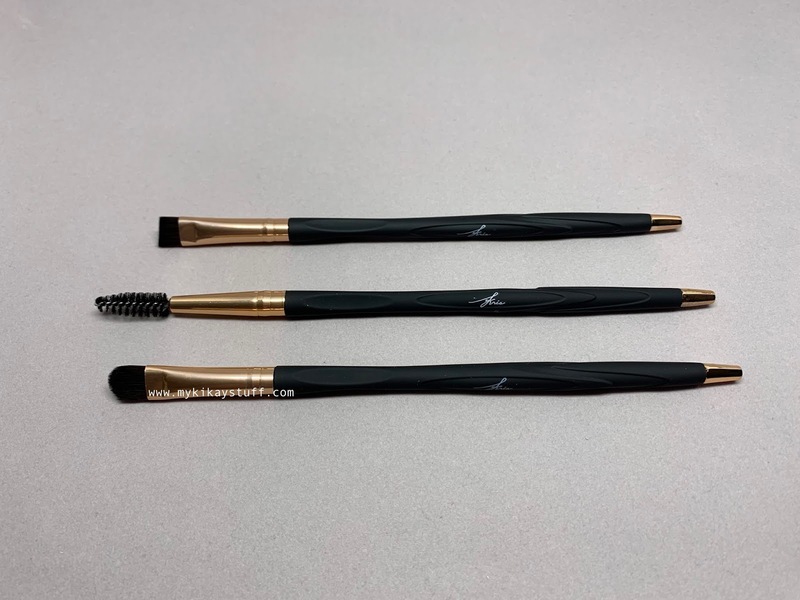 This set consists of an angled brush for precision application of eye color near the lash line. It also includes a smudge brush that can be used to create a smoky look and a blending brush to apply eyeshadow and achieve a softer finish. 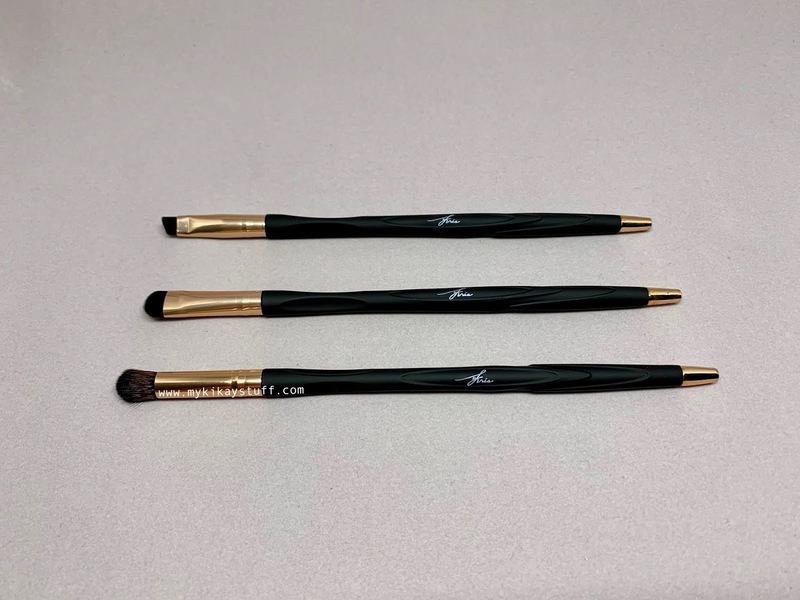 The set brow is another trio featuring a brow brush to easily shape your arch however you like, a spoolie to create softer looking brows and a brow shader to fill in the sparse areas. 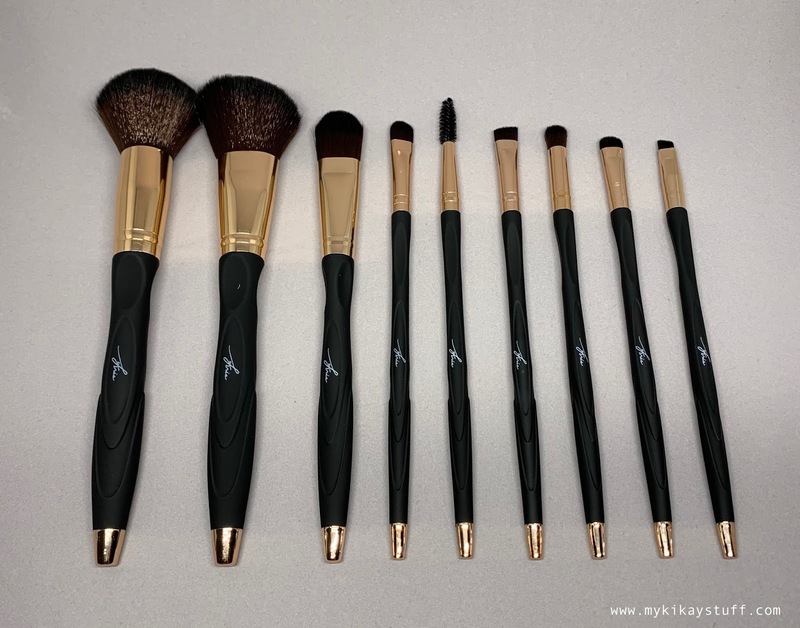 The face curves set consists of a flat foundation brush for smoother application that helps achieve a more flawless finish and an angled brush which works best for contouring. 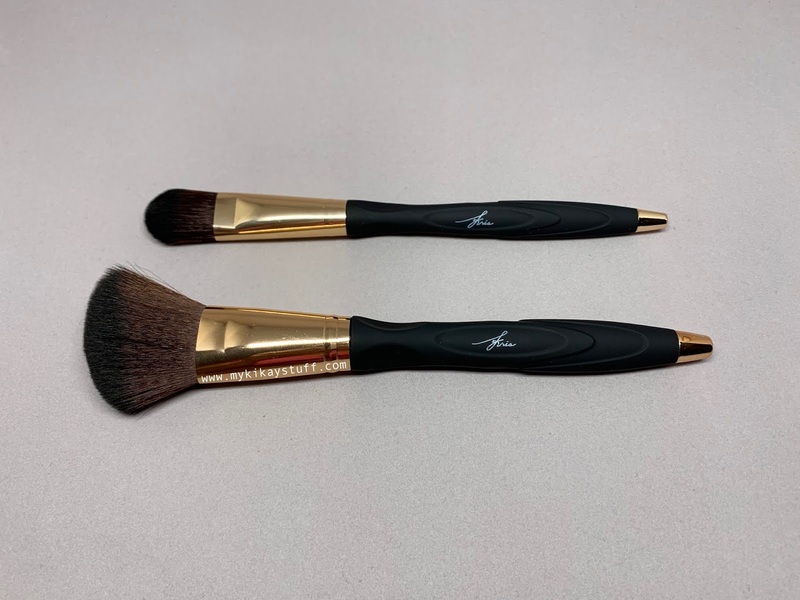 The face ready brush is sold separately and meant to be used for powder application. It may not be the most dense brush in the market but it does a good job of setting your powder evenly. Upon close inspection, I realized these tools aren't as flawless with a few tiny lumps on the metal tips. The rubberized handles are uniquely shaped for a better grip although I hope they won't get sticky after a while like those of Real Techniques. 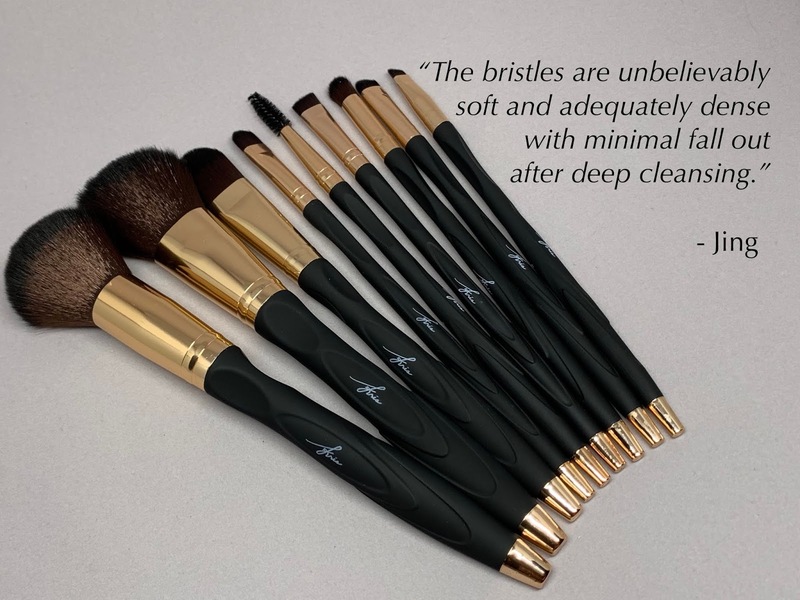 The bristles are unbelievably soft and adequately dense with minimal fall out after deep cleansing. 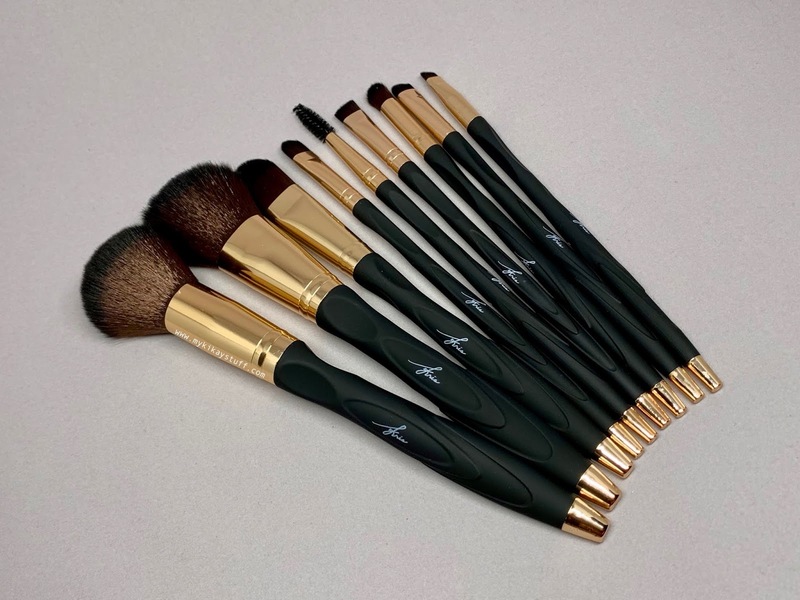 I love the entire look of each brush especially the elegant combination of gold metal ferrules and black rubber handles. I consider these tools priced at mid-range and considering all the features, I believe these are reasonably tagged. Overall, the face curves set is my most favorite. I love how the foundation brush is so dense and feels soft making it easier to apply foundation. 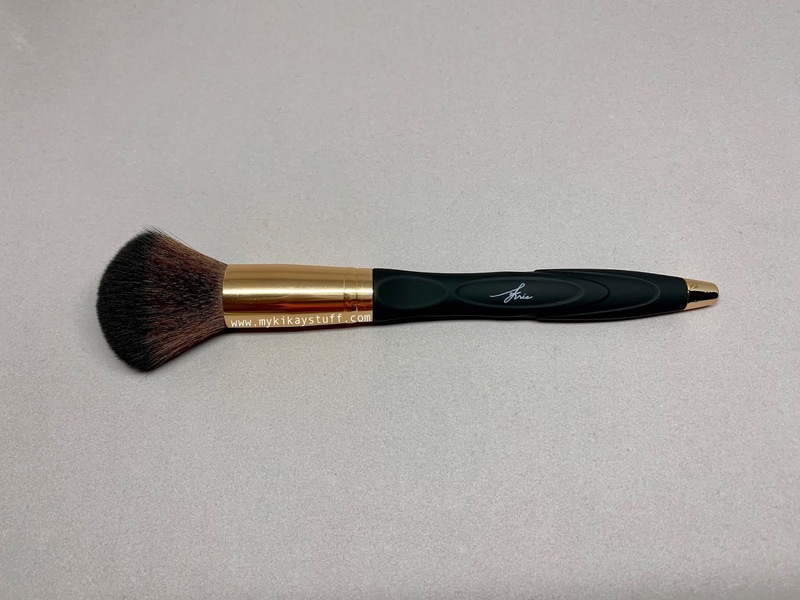 The angled brush is highly versatile and can be used to apply contour, highlight or blush. I also love that it has the right thickness for precise application. Needless to say that if you're undecided which set to get, I highly recommend face curves. Thank you so much for visiting my blog and feel free to explore the site before you go. 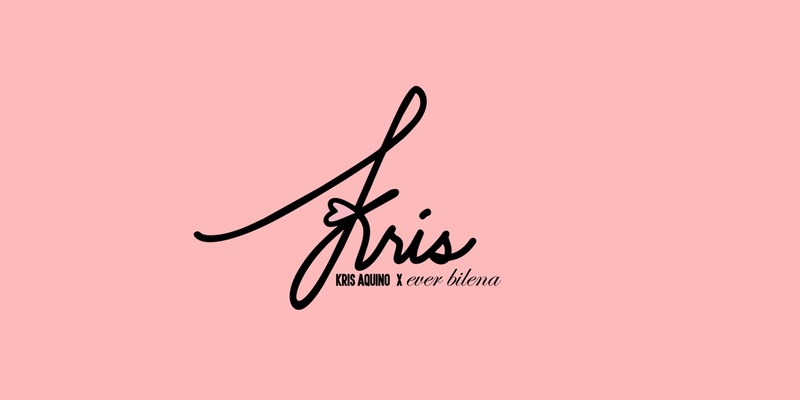 Please subscribe by clicking the Bloglovin' icon on the sidebar to your right 👉. Follow me on social media to get updates by ticking the corresponding icons on the left upper corner 👆 of this page. Until next time!